The Thrifty Mommy: Starbucks: Free Pasty Day Tomorrow!! If you like Starbucks...you may want to check out this deal!! 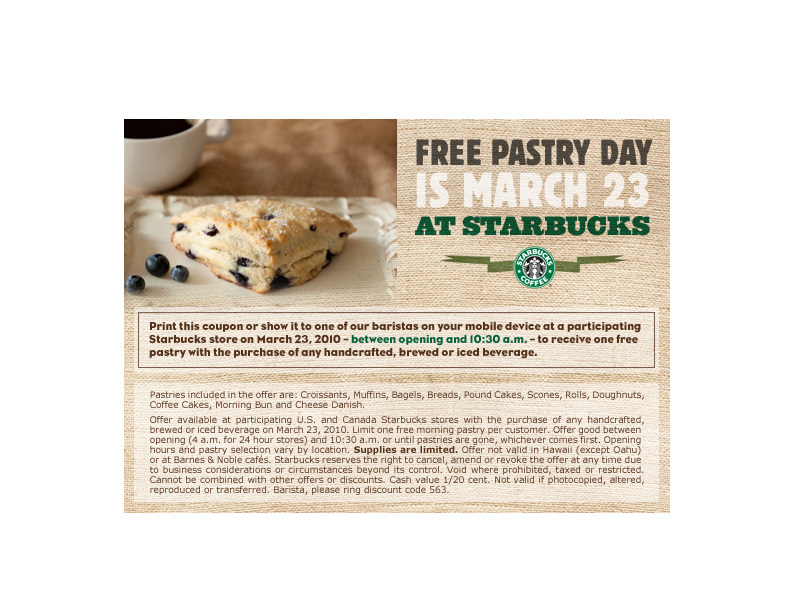 Tomorrow, Tuesday, March 23rd, Starbucks is hosting FREE Pastry Day!! All you have to do is purchase any handcrafted beverage or drip coffee and you'll receive a FREE pastry with this coupon here. The offer is only available until 10:30 am tomorrow only, and is while supplies last at participating stores. May want to call your local store to be certain they are indeed participating!